“What We’re Up To” isn’t the most scintillating headline, but when you’re Team Fortress 2, you don’t really need to assault people with catchy buzzwords and overly colorful copy. (You have lots and lots of guns to assault people with.) 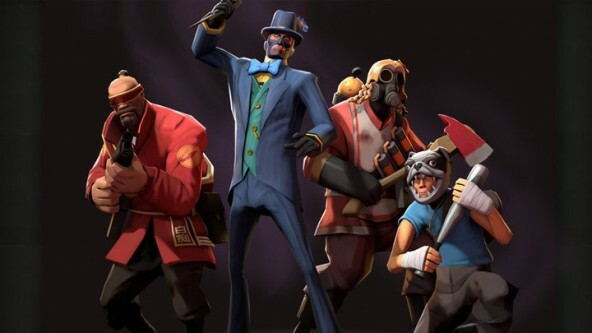 Instead, Valve takes the subdued approach with its most recent progress update, laying out its ambitious plans for the remainder of 2015. There’s a major update in the works, which will include new maps, new cosmetics, a new campaign (probably in the style of the recent Gun Mettle campaign), and the hotly anticipated competitive matchmaking. Mannpower Mode, introduced in December, is also expected to move out of beta soon. With all that planned, however, one yearly TF2 tradition had to bite the dust. Well, not completely… Valve won’t be producing a new Halloween map or game mode this year, instead opting to turn the Halloween decorations over to the fans. All six previous Halloween special events will be activated, and the best content from the Steam Workshop will also be available. If you still want to get into the festive spirit, you can do so by submitting content to the Workshop with the tag “Halloween” before Oct. 18. As an added bonus, all new Halloween-themed items will be usable year-round, not just during the Halloween season and full moons. Well, fang you very much, Valve. s h i t wardrobe simulator is dead already, only kids are playing. did i say PLAYING? sorry i was going to tell u that this is not GAME anymore, they are looking stupid outfits and hats of each other and dancing f u c k i n g KONGA, no one cares to PLAY! Valve pls #Diretide pt. 2. So acctualy it is nothing good. The game already has a ton of ( bad maps ), hats and other garbage. How about an update that acctualy improves some things in the game. A game that’s been out for 10 years with the some of the highest revenue in history vs a game that’s still in closed beta. You’re one of those people who said league will die after Dota 2 come out lol. TF2’s biggest plan is to SUICIDE before Overwatch comes out!!!!!!!!!!!!!!!!!! Why even bring up Overwatch ya noob? What does that even have to deal with anything, at least TF2 is out and an already proven success.